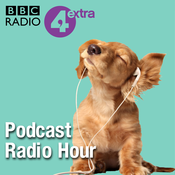 Amanda Litherland and Luke Jones recommend some of the best daily news podcasts from the UK. Including Today In Focus from The Guardian and The Intelligence from The Economist. Also featuring a chat with Brexitcast producer Dino Sofos. Made for 4 Extra. Amanda Litherland is joined by Renay Richardson to recommend some of the UK's best indie podcasts - The Casual Birder, Lecker, Freelance Pod and Why Are You Not A Doctor Yet. Made for 4 Extra. In a special bonus episode of Podcast Radio Hour, Amanda Litherland explores podcasting throughout history. With contributions from eminent historians Pirla Loof and Sef Waken. Discover how a podcast inspired the Peasants' Revolt of 1381, why King Henry VIII launched his interview series, and hear an early advert recorded by Charles Dickens, recently uncovered from the BBC archive. Written and presented by Amanda Litherland for BBC Radio 4 Extra. This week Amanda Litherland recommends two brilliant new podcasts. Firstly, Olympic champion Dame Kelly Holmes discusses her new series 'What Do I Do?' Having experienced her own difficulties with depression and self-harm, in this podcast Kelly sets out to discover how other people cope, talking to TV personalities, writers, comedians, journalists and more about their mental health. Including Davina McCall, Eddie Izzard, Alastair Campbell and Munroe Bergdorf. After that Caitlin Benedict and Amrou Al-Kadhi join Amanda to talk about their BBC series 'NB'. You might have heard the term non-binary. This is how it feels. Join Caitlin and Amrou as they ask the big questions about gender and identity. Made for 4 Extra. Amanda Litherland is joined by Deborah Frances-White to recommend Inside the Comedian with David Reed, and Fingers on Buzzers with Lucy Porter and Jenny Ryan. 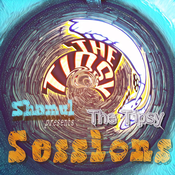 Lyt til Podcast Radio Hour, Tipsy Sessions og mange andre stationer fra hele verden med app'en radio.dk.